Former VA Gov Doug Wilder: Hey Obama, fire your Campaign Staff and hire a Governing Staff! The need is becoming more obvious by the day: He must overhaul his own team, replacing the admittedly brilliant advisers who helped elect him with others more capable of helping him govern. Getting elected and getting things done for the people are two different jobs. I hope Obama takes his advice…..soon. That would be change I believe in ! 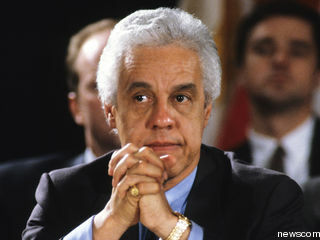 Comments Off on Former VA Gov Doug Wilder: Hey Obama, fire your Campaign Staff and hire a Governing Staff!